[The article below has garnered the attention of One24 and their lawyers. They are trying to whitewash this information. For more details see One24 Threatens to Sue Me for Defamation. Love your website, would you review One24 for me. I got sucked into Monavie and love the juice but hate the business and just recently heard about Protandim and am glad to read your comments. Just started with One24 a protein powder/superfood. Not a get rich quick scheme, at least I don’t think so…would just like your opinion. You’re supposed to build your business slowly by recruiting one new member a month but the problem is once a month they have a “Gold Rush” when you can take people off your waiting list and put them in the business and I think a few people have gone too crazy and the company was not ready for the growth. The concept is one member a month for 24 months (One24), then retire. Of course though people want to grow their business too fast and the site keeps crashing. Still a little skeptical about the whole concept, I hope they decide to limit the amount of people allowed in the Gold Rush. I’m just looking for a home based business that is not a scam or where I have to chase family and friends. I do like Monavie but it is so expensive for one bottle of juice. I was on autoship for about $140 a month and I don’t feel right asking anyone for that amount of money with this economy. I’m going to take some time to read more articles on your site, I found it very interesting, thanks! I got in a conversation with this person and gave her much of the information that will be in this post. I had decided it wasn’t worth writing an article about. If I wrote about every MLM scam that comes across my email inbox, this site would be really boring. Plus, I didn’t start Lazy Man and Money to write about MLM scams – I wrote it to catalog my journey with money. The links to those quotes are here and here respectively. For those who are not aware, pyramid schemes are illegal in the United States. Perhaps at this point, you see where I’m going with this. I was shocked at the audacity of this company. They have specifically named their company in such a way as to promote recruitment as a way to retire. It makes me wonder if One24 was their second choice after they realized they couldn’t get the domain PyramidScheme.com. This flies in the face of the FTC’s quotes of “[Pyramid Schemes] promise consumers or investors large profits based primarily on recruiting others to join their program.” and, well, just the whole second quote in general. Of course there’s a far easier reason to explain why I believe this to be a pyramid scheme. The concept of having to recruit 24 more people is simply unsustainable like all pyramid schemes. Let’s start off with a company of 4 founders. They each recruit their 24 people to retire. That leaves 96 (24*4) looking for another 24 people to recruit. Let’s pretend that they each find their 24 people. Now you have some 2304 looking for 24 people. If they find their 24, then you have 55,296 looking for 24 people. If they have the amazing fortune to find their 24, then 1,327,104 people are left looking for their 24. In three more iterations you have 18 billion people – 3 times the population of the earth. As you can see it doesn’t take too many iterations before it reaches saturation. People already involved in pyramid schemes ignore this detail and suggest that there is no such thing as saturation. They ignore not only the math, but also the fact that few people are really looking to become distributors or salespeople for these products. These distributors erroneously claim that it due to lack of effort on the part of the distributors. One of my readers disputed that wonderfully with his article: It’s Not a Matter of Effort, it’s a Mathematical Certainty. Since it seems that One24 considers its product, NatraBurst, an afterthought to what appears to be a pyramid scheme from the FTC definition, I thought I would treat it as an afterthought in the article. However, this website is about personal finance and thus it does make sense to evaluate the value of the product. Before I get started, I’m going to entice you to read through by letting you know that I can save you 50% on NatraBurst (hint: look on Ebay). No matter how slice it, that’s a better value than paying the company’s suggested price. The promotional materials claim that each serving of NatraBurst contains the equivalent of 6 servings of fruits and vegetables. Those who follow MonaVie know that this is a common lie in these MLM programs use. See: Drinking MonaVie is Not Equal to Eating 13 Fruits. In reality, it turns out 4 Ounces of MonaVie is 1 Serving of Fruit. The same is true of NatraBurst – except that it isn’t even a serving a fruit, since it contains no actual fruit or fruit juice. Most of the seller pages make a mention of a “Protein Blend”, a “Greens Blend”, a “Antioxidant Blend”, and a “Digestive Blend”. Each of these blends has some ingredients that one may recognize such as Tomato/Lycopene, Broccoli, Tumeric, etc. Here’s the catch though: They don’t mention how much of these ingredients is in a serving. I could take water from the Pacific Ocean that would surely contain a blend of all these things. The problem is that unless you know how much you are getting, it’s not worth mentioning at all. What you are left with is a bunch of marketing, which of course makes sense, because it looks like the product is being used to hide the pyramid structure. Some people have come here to defend the product as a worthwhile product. At $70, I believe the product is much more expensive than similar products. However, if you feel that NatraBurst is a great product, I can save you money. As of May 7, 2011, there appears to be many people selling NatraBurst on Ebay for between $30 and $40 as a Buy It Now price. Now take that $30 savings and invest it towards a reputable retirement plan. One24 Sales Data from May 2011 and Feb 2012 shows that One24 sales has shrunk in half during that time. It also shows that sales are almost entirely to distributors meaning two things: 1) One24 isn’t complying with the FTC guidelines and Focusing on Sales to Outside Participants and 2) One24 distributors (or PCs) are leaving the company at much faster rate that One24 can bring them in. Secret One24 Commissions Show it is a Pyramid Scheme. We already knew this from the information above, but this give greater detail to the declining One24 business as well as shows that they sell almost zero product to people outside the One24 network. Again we have another One24 maniac trying to prove a point. And again Lazy Man makes him look like a moron just as all the others that have tried the same. I agree with Steven 100%!! You know anyone can take a business name such as One24 put the word scam behind, build a website and put nothing but false information on it. It takes a real person to look past all the s–t that is being said about a business, build that business up and make an income from it. I was one of Steven’s first team members in One24 and I’ve build a business that generates me 2 grand a month right now!! Steven sent me this link to have me check it out and honestly what is being said on this website is B.S.!! Not once have I had a check from One24 that’s been late or not right!! Don’t you have anything better to do with you’re time then to bash a company?? I did much more than just take a business name and put the word scam behind it… I proved it using the FTC guidelines for illegal pyramid schemes. Maybe you lack the intelligence to understand the difference. You’ve been given many chances now to state what information that you think is false. Since you haven’t taken the opportunity, it is clear that your comments are lacking substance. Don’t you have anything better to do with your time than create a fake identities to post on my website? The fact that you can’t spell while typing fast is irrelevant. What’s relevant is your inability to focus on the details presented here and explain why they are incorrect by backing it up using reliable sources. Yet you have not presented anything to support it. As previously stated, if there is something in error, then please provide everyone here what’s in error, present us with the facts and the reliable source(s), and the author can correct it. I am going to guess that Steve is not making much money at all with One24. Exactly why he is trying to defend himself by rambling. Critics always outnumber achievers and risk-takers. It takes a bigger man to attempt to go out and create an honest enterprise and, then, fail to meet expectations, than it the smaller man who waits in a safe, comfort zone, then, sits back to retroactively analyze and toss stones directly at what someone else has done wrong. Yep – that’s a scam. Lazy man – other than pick a FTC phrase and point it toward a failing venture of someone else, what have YOU done to advance any cause other than your own? Two years – where are the attorney’s general and the FTC? Do they know? Are you the first one to figure out that something smells? You’re in the wrong business. By the way, on whose ‘margins’ are you living? I can go to the auto parts store and grab a few parts from the shelf and pretend, as you did, that this represents a honest value statement against someone who goes out and buys the whole car. Do you believe that spending $30,000 for a Honda Accord represents $30,000 in value? Did you forget about instant depreciation? That’s the way it is. Connect the dots and stop with the cherry-picked analogies. I’ve been using Natraburst for two years. Bottom line – my doctor loves my results; I’m almost 60!! My teen-aged son has been able to displace a rather harmful, ‘good-bacteria’ eating ‘purple pill’ with regular mixtures of fruit juice and Natraburst. His gastroenterologist was out of answers, beyond writing continuous prescriptions for the ‘purple pill’ Further, replacing expenditures on a variety of other nutrients was a reasonable option. I don’t need to ‘turn a profit’ on every purchase of Natraburst just to prove the value to me. My doctor loves my results!!! Blame the company for the failure in attempting to bring a reasonable opportunity to thousands and thousands of people at a pocketbook level. In the meantime, you appear to find no fault (or, fail to include in your criticism) with people who bring high expectations to new endeavors and put forth little or no EFFORT in completing the cycle that’s necessary for (1) a product, (2) a company, (3) a reasonable dream, and (4) minimal qualifications to all fit together to create a ‘reasonable’ opportunity. Ok, peanut gallery. It’s all yours. I don’t critique people choosing legal businesses. However, you when choose to scam thousands of people with an illegal business and lying to them, I think you are getting off quite lucky with a critique. I suggest that you look up Fortune Hi-Tech Marketing. They were shut down last month after running their scam for 10 years and defrauding hundreds of thousands of people in what the FTC and 3 state Attorneys General called a rigged game. You can watch the press conference on YouTube here: http://www.youtube.com/watch?v=EBY9UXBbtWc. The funny thing is that USA Today warned the world a couple of years before. What was going on with the FTC then? Did no one at the office read probably the nations most popular newspaper? It turns out that the FTC are busy people and when they try to shut these companies down they have to make a case in federal court. It’s a long process. Where is my product, you are looking at it? What are my margins and revenues? They are fine. Is any of that relevant to One24 being a scam, nope. Do you think the FTC is going to care about Lazy Man’s business when they evaluate One24 as a pyramid scheme? They didn’t consider my business when they evaluated Fortune Hi-Tech Marketing. You can’t compare a nutritional product with a few parts from a car store. A few parts from a car store doesn’t get you from point A to point B. 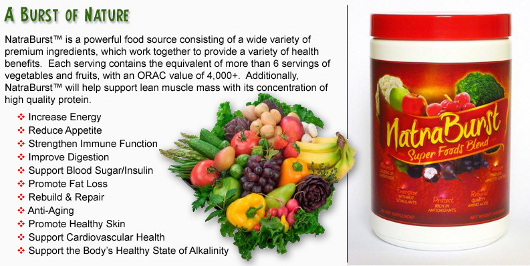 The main ingredients in a nutritional product do perform the job of a nutritional product. Yes it generally considered that buying a $30,000 Accord represents around $30,000 in value… or else no one would buy it. It’s not like they are trying to sell them $85,000. If they did no one would buy it. It’s like the the $100 pen pyramid scheme. “No More Claiming Mona Vie Cures Cancer! We’ve seen the same claims for Protandim, Jusuru, MonaVie, etc. We can’t believe that because these products are all miracle cures because they are MLM. The end result is MLM testimonials are pointless for a variety of reasons. There’s no reasonable opportunity with One24. I’ve shown the company financials and they aren’t delivering on their promise. As the FTC and Attorney General said in their talk of Fortune Hi-Tech Marketing, it’s a rigged game. The way they rig the game is getting an overpriced product together, mixing it with a pyramid scheme, and making sure that there are minimal qualifications. As an FYI, you don’t want minimal qualifications in a business opportunity… it means that you have no barrier to competition. Not only that, but there’s no way to differentiate yourself in MLM… you can’t provide any extra value. Ebay does a better job at selling NatraBurst. Tell me what you believe to be false and I will be happy to correct it. I would welcome the opportunity to be in a courtroom with One24. They are the ones who are running an illegal pyramid scheme. It hasn’t received marketing to this point, but there is a great petition out there to end pyramid schemes. I encourage everyone following this to sign it. There are some MLMbots who exert effort to retail than to recruit. Now if the company is still a pyramid scheme, guess what when FTC shuts down the outfit they never make a distinction nor an exception for this MLMbot. The entire ship goes down; rightly so but still sad that the entire ocean still exists while in fact it should be drained! LazyMan, as always you have provided candid details that no One24 adherent has disproved factually. Keep up the good work. I think One24 changed their name to Natragood. From what I read, One24 started to collapse so they had to change their name to start again. Yep, I think I read there was an internal fight and split. That could be another reason for the name change. From what I saw, it was collapsing like a typical pyramid scheme.